Fig.CFL Lamp Driver Circuit Diagram. The 12V drivers for fluorescent lamps are tricky, because of the compromise between a good operating efficiency and the ability to start the lamp. The demands are in contradiction. 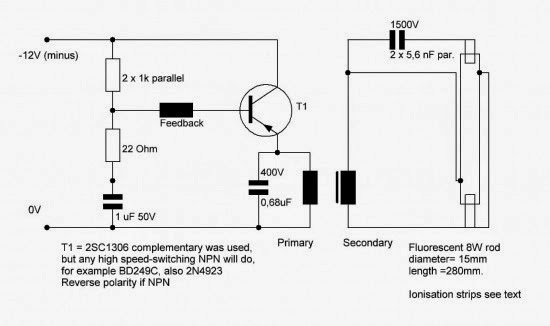 0 Response to "CFL Lamp Driver Circuit Diagram"